A new version of GpuTest is ready. 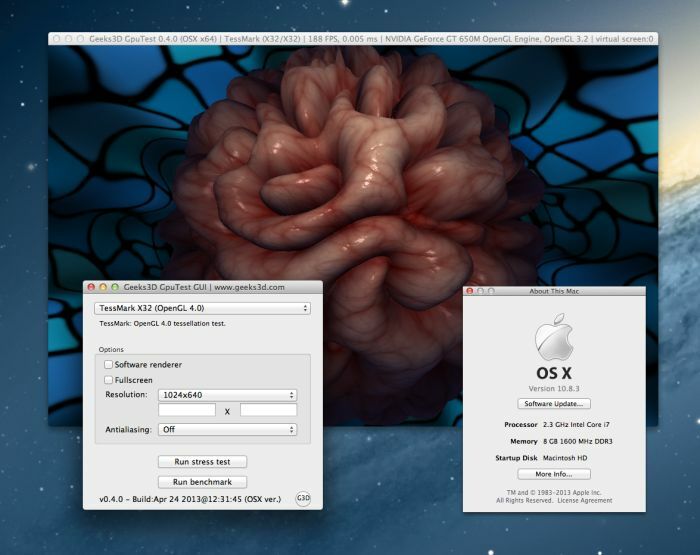 GpuTest is a small and simple cross-platform graphics benchmark based on OpenGL for hardware acceleration. GpuTest is a 64-bit application and is available for Windows (XP, Vista, Win7 and Win8), Linux (Ubuntu-based, openSUSE) and Mac OS X.
GpuTest 0.5.0 comes with an improved Linux support, especially a better support of Mesa / Gallium3D. Now GpuTest works fine with all Gallium3D renderers (LLVMpipe, NVC0, CYPRESS) as well as with proprietary drivers (NVIDIA and AMD FGLRX). I didn’t tested the support of Intel GPUs so let me know if there are some issues with these GPUs. 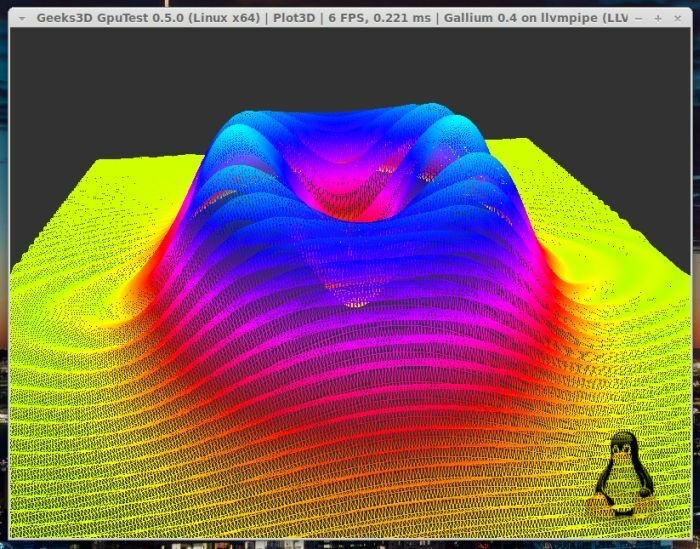 And for Gallium3D tests, GpuTest includes two new demos that are lighter than other demos: Triangle and Plot3D. Plot3D is based on this article: 3D Surfaces Plots. Still for the Linux side of GpuTest, the dependency of GLIBC 2.14 has been removed. Now GpuTest requires GLIBC 2.2.5 which is common in older distributions. New command line paramaters have been added (see this post for details). The latest version of GpuTest can be downloaded from this page: GpuTest Downloads. You can post feedbacks and bug-reports in the comments section of this post or in GpuTest forum. added new OpenGL 2.1 / 3.0 demo: Plot3D (command line: /test=plot3d /plot3d_vertex_density=density). 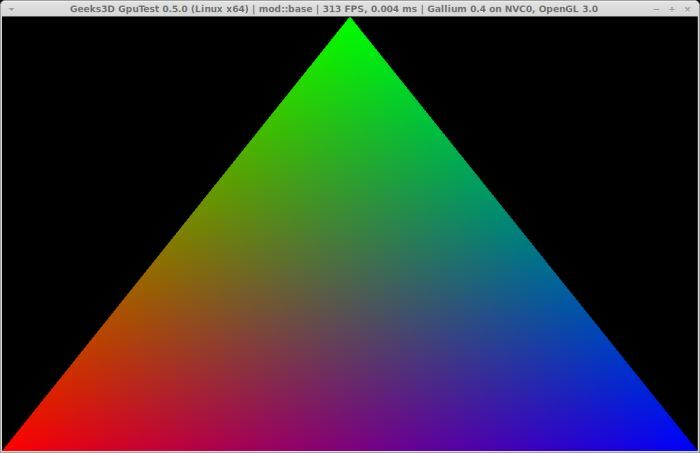 added new OpenGL 2.1 / 3.0 demo: Triangle (command line: /test=triangle). Linux: removed dependance with GLIB 2.14 and replaced with dependance with GLIBC 2.2.5. 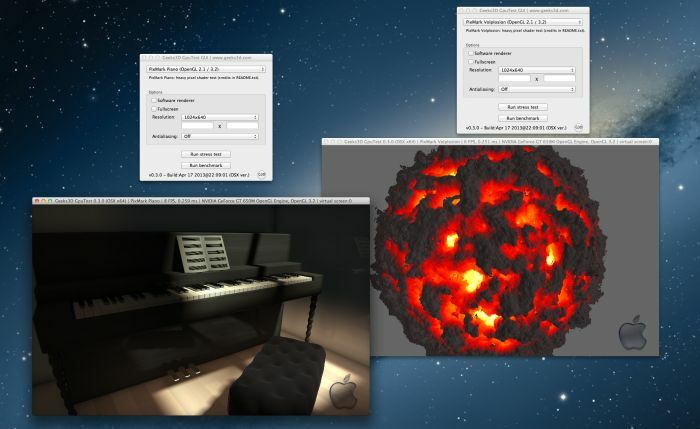 Mesa/Gallium3D supported demos: Plot3D, Triangle, FurMark, Volplosion and Piano. 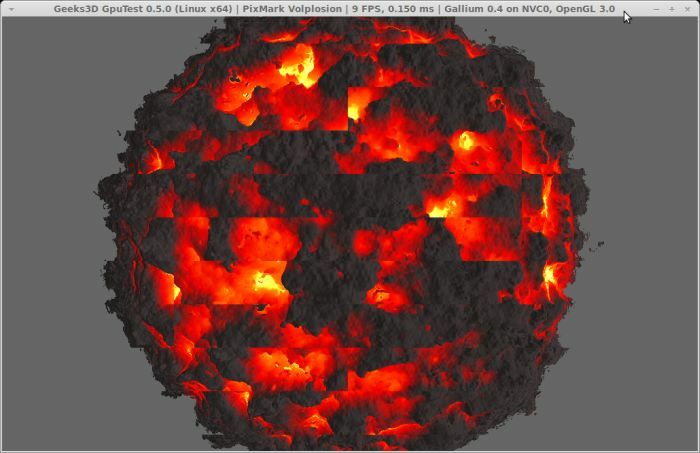 fixed a bug in the OpenGL render window creation for Mesa/Gallium3D renderer. fixed a bug under Linux: when demo initialization fails, the window is now properly closed. updated with latest 3d framework. Other than furmark, triangle, plot3d. All the other tests did not work. Either a blank screen/window or the window just closes quickly.